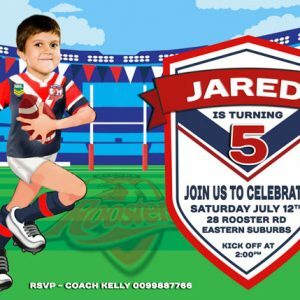 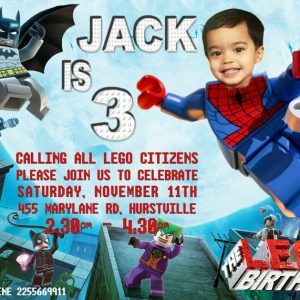 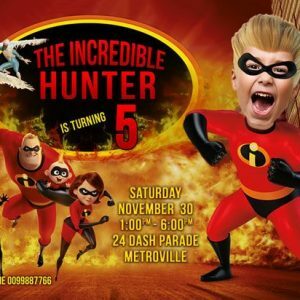 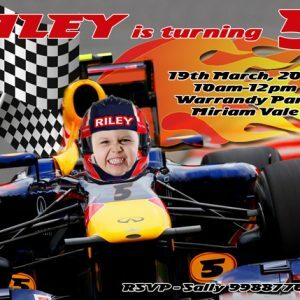 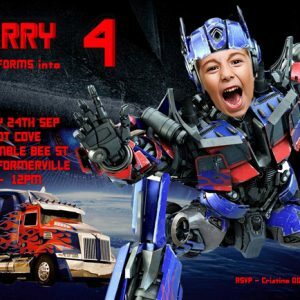 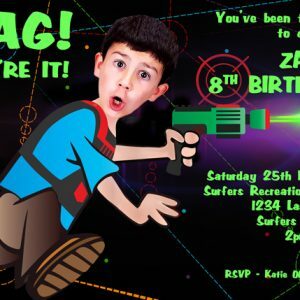 Boys birthday invitation. 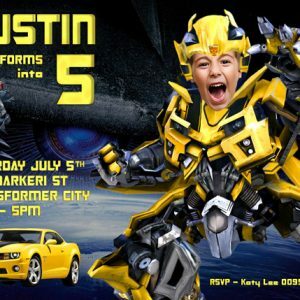 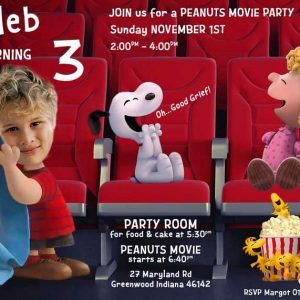 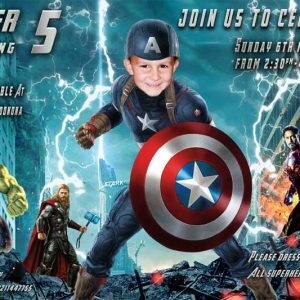 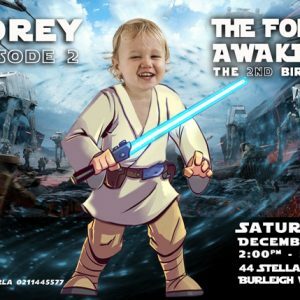 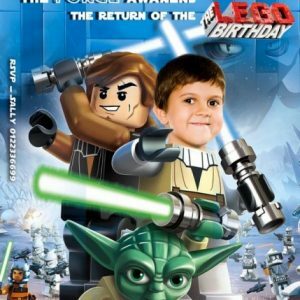 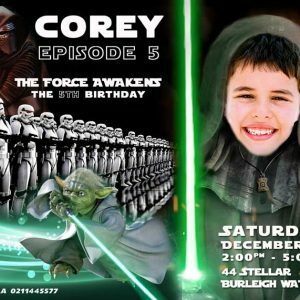 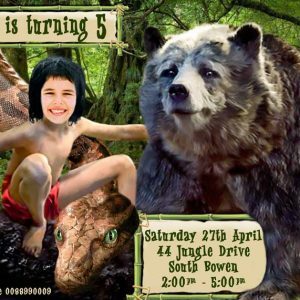 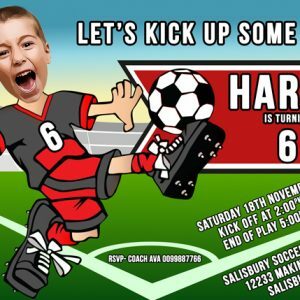 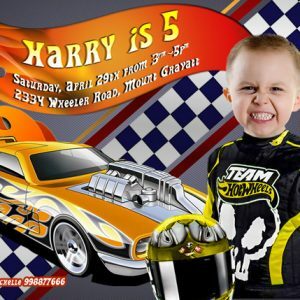 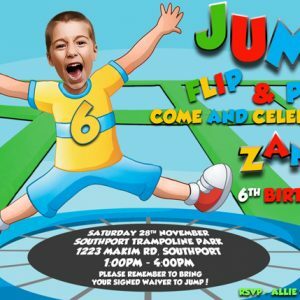 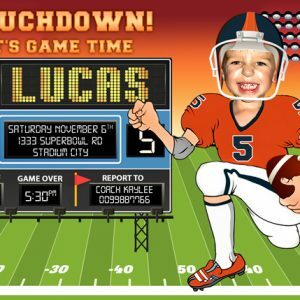 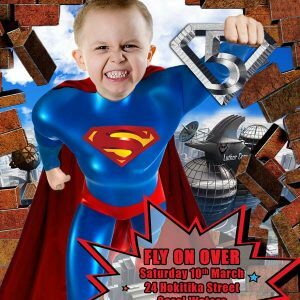 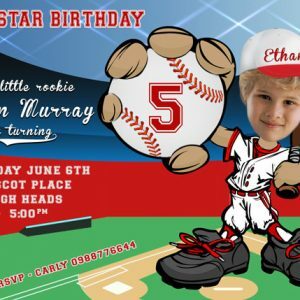 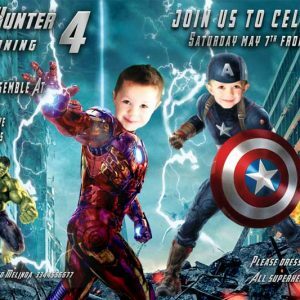 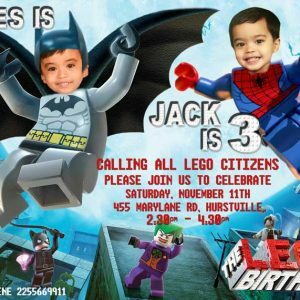 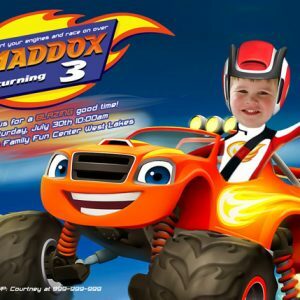 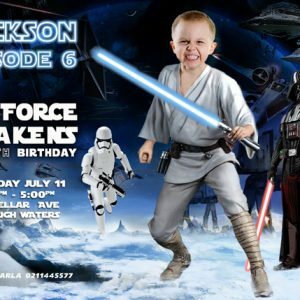 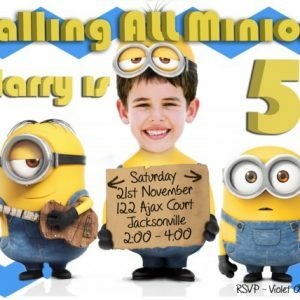 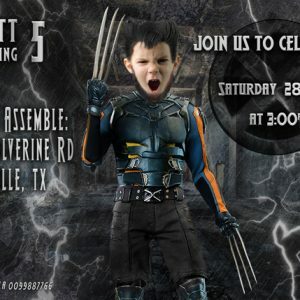 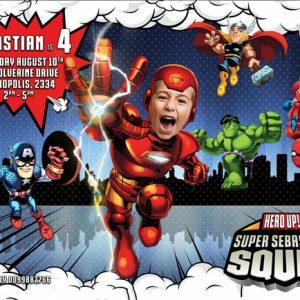 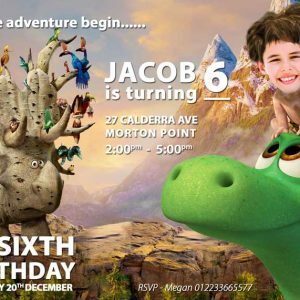 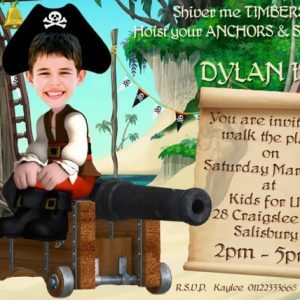 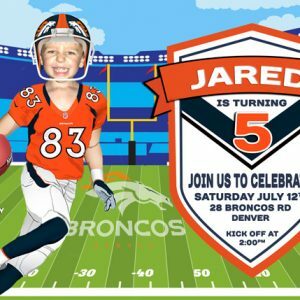 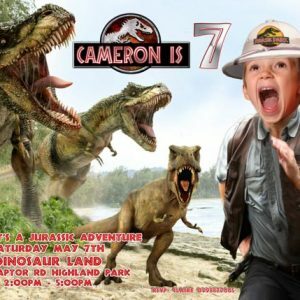 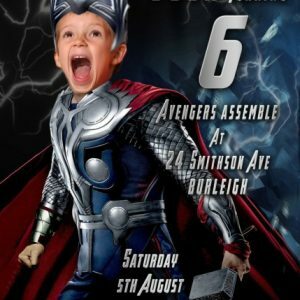 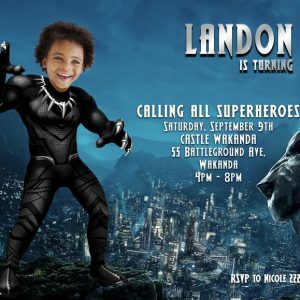 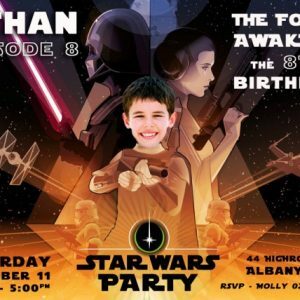 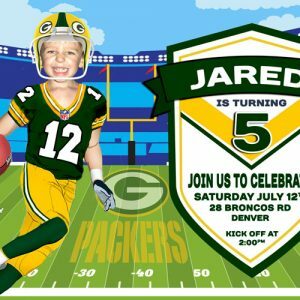 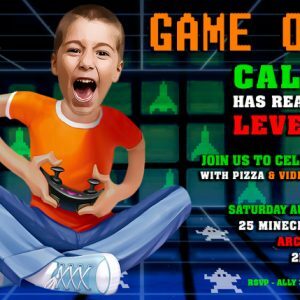 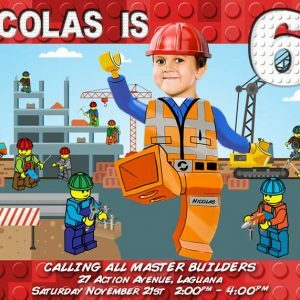 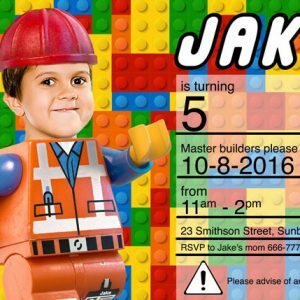 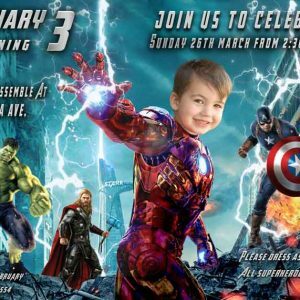 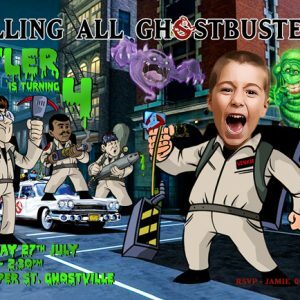 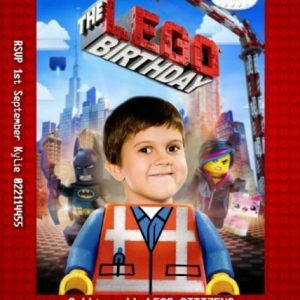 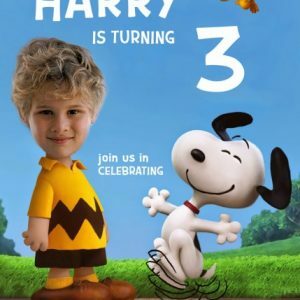 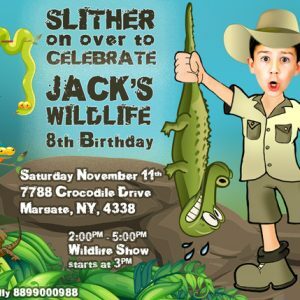 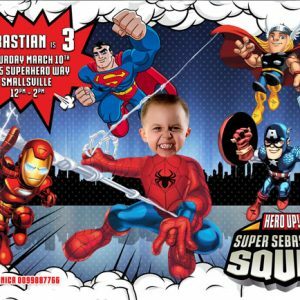 Make your son’s next birthday party a hit with an original Party Photo Invitation. 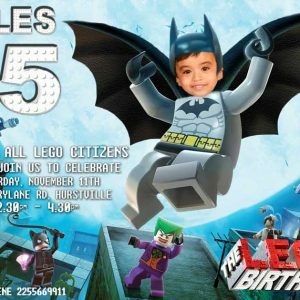 Choose from a variety of themes including sports, pirates, superheroes, the avengers, lego movie, sponge bob and more. 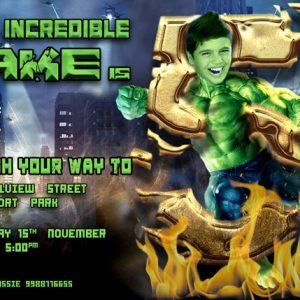 Upload your photo and I will make it blend realistically with the cartoon character you have chosen. 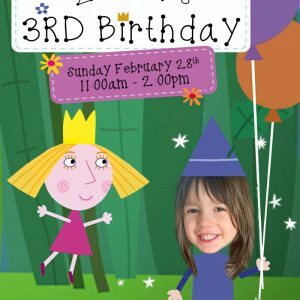 Can’t find what you are looking for then let me create an original design just for you. 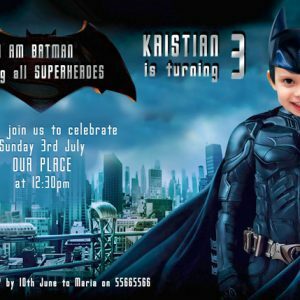 Funny, fantasy or based on your child’s favourite movie. 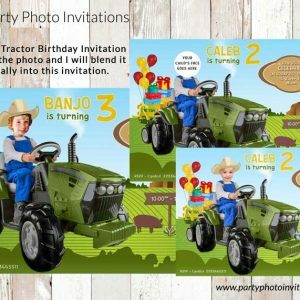 You provide the photos and details and I will create an invitation to suit any request, designed to coordinate with any colour scheme, theme or concept. 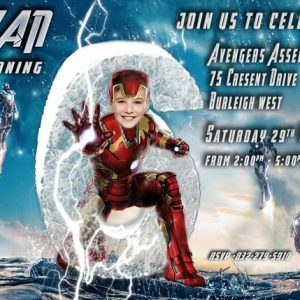 WEBSITE in AUD. 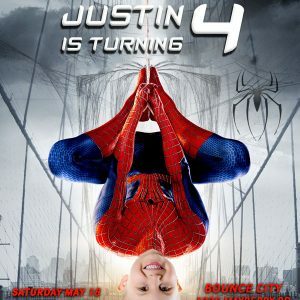 It will CONVERT to YOUR currency at PAYPAL CHECKOUT.